Facebook is neck-deep in troubles as its worst data breach crisis to date deepens. Governments around the world have begun to pursue investigations that could result in a hefty fine for the social network, while concerned users and advertisers are considering leaving the platform. Facebook’s reputation has taken a massive hit in the past week, after the revelation that it allowed Cambridge Analytica, a political consultancy working for the Donald Trump campaign, to wrongfully harvest the profiles of 50 million Facebook users without their permission to identify and target potential voters during the 2016 US election. The incident greatly undercut the public’s trust in Facebook and ignited serious privacy concerns that many speculate could set off a mass exodus of users worldwide from the social network. Though South Korean accounts were not included among the Facebook profiles breached in the recent scandal, many users here are alarmed over the safety of their data stored on Facebook. 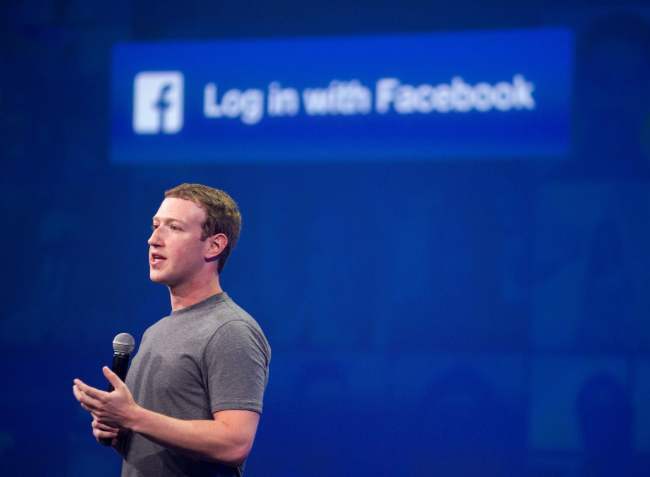 “Facebook has been complacent about its data security, to the point of irresponsibility. I know a lot of people are shutting down their accounts, but there are many others who are afraid to cut off the relationships they’ve built over the network,” said Kim So-jung, a 29-year-old office worker in Seoul who has been using Facebook for the past 14 years. Amid mounting criticism, Facebook CEO Mark Zuckerberg on Thursday issued a formal apology and a timeline of the events that had happened. The firm also announced a set of new measures to strengthen its data protection mechanisms in order to regain the public’s trust. “I’ve been working to understand exactly what happened and how to make sure this doesn’t happen again,” Zuckerberg said in a post on Facebook. In 2007, Facebook launched a new platform that allowed people to log into apps and share a part of their own profiles and the identity of their friends. Through this platform, a Cambridge University researcher named Aleksandr Kogan in 2013 created a personality quiz app which was installed by 300,000 people, collecting the data of those users as well as their friends. Then in 2014, Facebook changed the app-sharing platform to significantly limit the data apps could access, in order to prevent abuse. This meant apps could no longer ask for data about a person’s friends unless they had also authorized the app. In 2015, Facebook became aware that Kogan had sold the data from his app to Cambridge Analytica, and asked the firm to delete the information. However, a string of news reports last week revealed that Cambridge Analytica had not deleted the data, but used them to target potential voters during the 2016 US presidential election. Facebook is now facing investigations, probes and hearings from authorities in the US, the UK, the European Union and Canada, while some of its major advertising clients are considering to stop placing ads on the social network. Facebook said it would investigate all the apps that had access to large amounts of information prior to Facebook’s 2014 policy change to address potential data misuse. The social network will also turn off access for unused apps, restrict the data that an app can request, make app management and control easier and more visible for users and reward those who find misuses of data by app developers. Following the Cambridge Analytica scandal, Facebook’s shares have continued to slide, by a total of around 10 percent this week. Meanwhile, Facebook was ordered to pay a 396 million won ($369,600) penalty in Korea earlier this week, for causing slower internet speeds by rerouting networks while negotiating network usage fees with local internet service providers. The penalty, handed by the Korea Communications Commission, addresses a dispute among Facebook and local ISPs that had been ongoing since 2015, and is unrelated to the ongoing data breach incident involving Facebook.